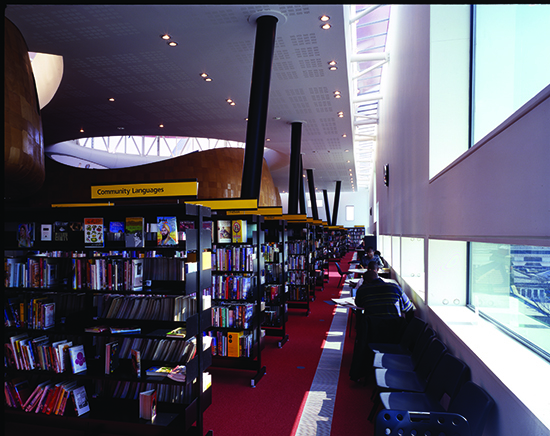 Peckham Library won Britain’s most celebrated architectural award, the RIBA Stirling Prize, in November 2000. The brief called for a building of architectural merit which would bring prestige to the borough and engender a sense of ownership and pride for local people. Will Alsop created a building of unique appearance which satisfied these criteria, comprising innovatory solutions to design problems; creating working, archive and meeting spaces of genuine delight and as a stimulating appearance. Suspending the main reading room on a cantilevered plane allowed the creation of a new public space below the soffit. Within this are, ‘pods’ contain meeting rooms and independent collections, with workstations clustered below. The brief included a children’s library and a range of adult learning facilities. The central pod opens to the clerestory, allowing daylight into the main space while the ‘beret’ over the roof affords shade. 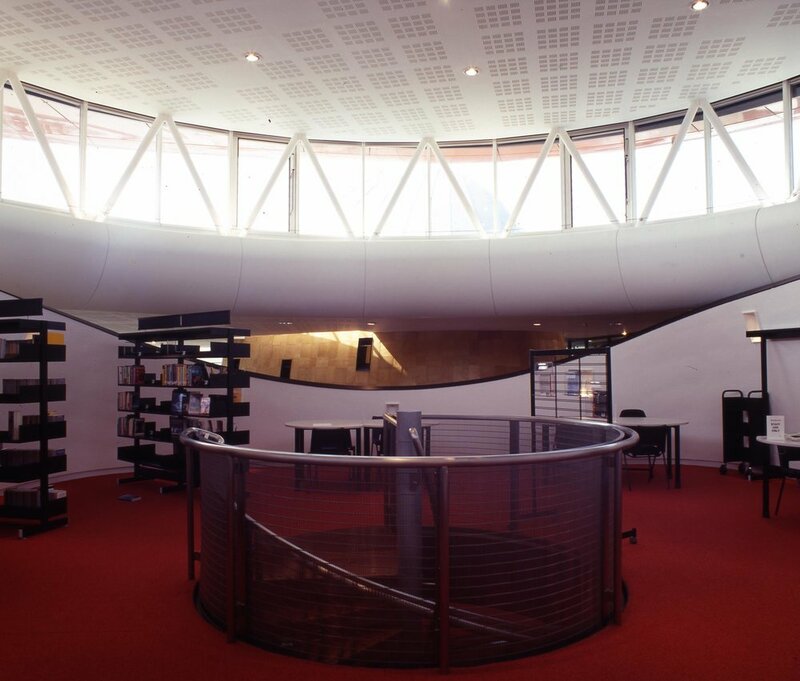 The library was conceived with sustainability in mind and has natural lighting and ventilation systems which significantly diminish the building’s energy requirements.